"Just following up on our gas insert project...everything worked out extremely well and the fireplace looks great. The issue I was concerned about is typical...and the hole was plugged with insulation. Thanks again for the quick turnaround and for following up." 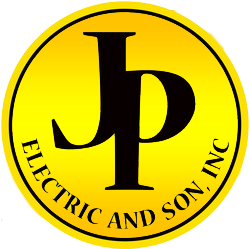 "Great service from JP Electric and Son! I had no power in either bathroom from a tripped breaker and Josh came right over, gave a thorough check of my panel and a simple wire connection was corrected at no charge. What a refreshing work ethic in an industry that is hard to find reliable and honest contractors. I will tell anyone and everyone I know to use JP Electric and Son." “Great job. Fast efficient and courteous "
“I was pleased that the company was able to schedule a visit quickly and accommodate my schedule. The electrician who showed up was polite, efficient, and he was even great with my dogs. I will hire them the next time I need electrical work done. " "The electricians were on time and worked quickly to upgrade my service. Very professional good customer relations updated me with the current status as it progressed. Very quick response to schedule and complete the work which fit my schedule requirements. I would highly recommend their service." "They were right on time and very nice and pleasant. He did what he said he would and helped me with info to do my ceiling fans and told me what I needed to get and they will install them! Great Service!"